ART FAIRS MIGHT BE A BIT like that moment before death, when your entire life flashes before your eyes. During a span of only days, everyone seems to bump into everyone they’ve ever known since, well, forever. Certainly, this was the case at the Milan Art Fair, or MiArt, which opened on April 13 and ran through April 15. Despite the bad weather, I was out and about on a Monday, several days before the fair’s official opening, to honor the artist Jimmie Durham. 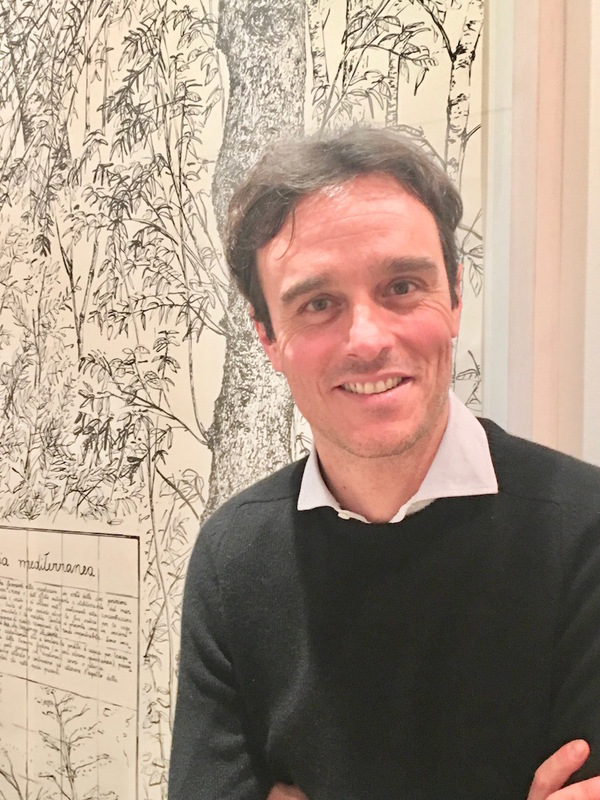 He is a beloved presence at the Fondazione Adolfo Pini, a refurbished nineteenth-century apartment building, where his current exhibition, “Labyrinth,” curated by Gabi Scardi, is staged. Throngs of people showed up to pay their respects to the master. 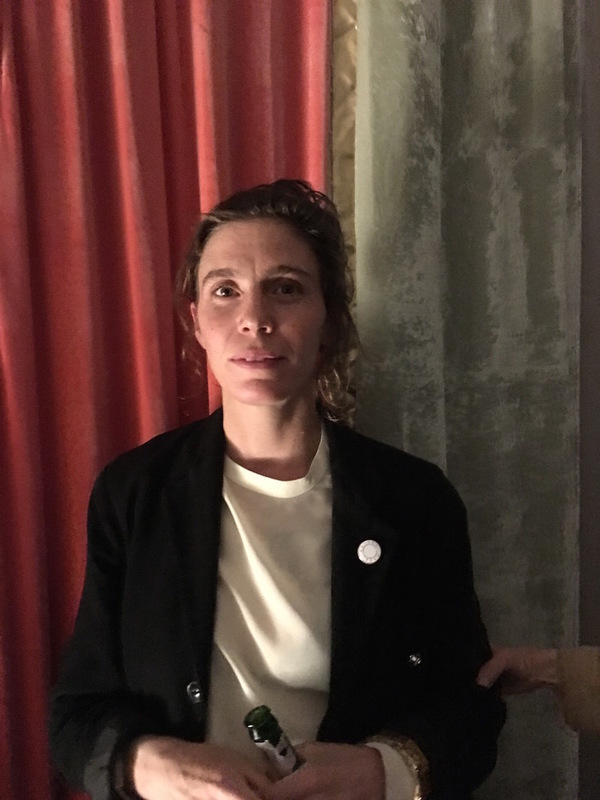 At the same time, there was a ceremony for the artist Rä di Martino, as she was awarded the 2018 Acacia Prize—but I was already at the dinner preview for “Una Tempesta Dal Paradiso: Arte Contemporanea del Medio Oriente e Nord Africa” (But a Storm Is Blowing from Paradise: Contemporary Art of the Middle East and North Africa), presented by Milan’s Galleria d’Arte Moderna (or GAM), New York’s Solomon R. Guggenheim Museum, and UBS. 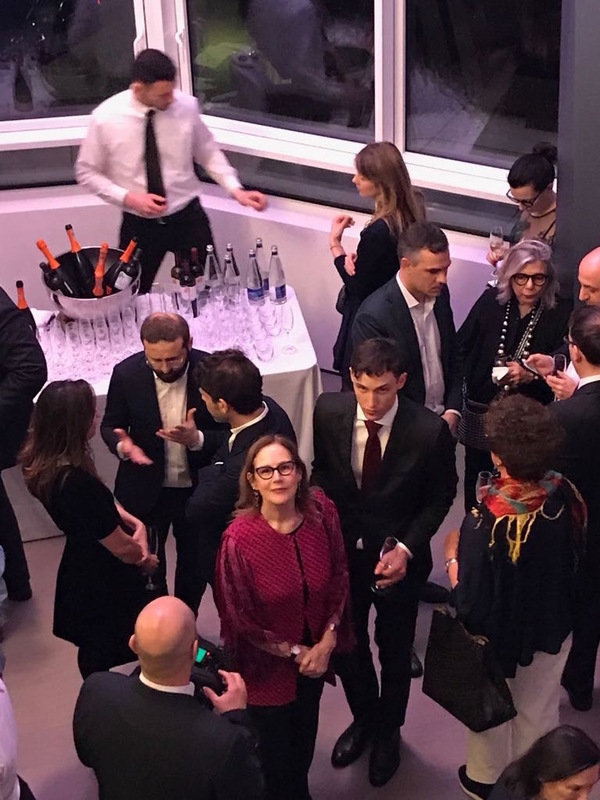 Giuseppe Sala, Milan’s mayor, opened the show—an inaugural gesture for this year’s edition of the city-wide Milan Art Week, of which MiArt is the core. Lucio Rovati and his wife Giovanna Forlanelli Rovati. At the palace Villa Reale, a large outdoor tent was set up to accommodate hordes of cultural powerhouses, such as Richard Armstrong, the director of the Guggenheim in New York; Fabio Innocenzi, the chief executive officer of Italian wealth management at UBS; and Paola Zatti, GAM’s head curator. Giovanna Forlanelli Rovati and her husband, Lucio Rovati, were there. Next year they are opening a Mario Cucinella–designed museum in the center of the city to exhibit their vast collection of antiquities, many of which are Etruscan. Other guests included Peggy Guggenheim’s granddaughter Karole P. B. Vail, the director of the Peggy Guggenheim Collection; Rosario Bifulco and his lovely wife, Anna Maria Voiello (Bifulco is the chairman of the auction house Finarte); and Rosa Giovanna Magnifico Panza di Biumo, the widow of visionary collector Giuseppe Panza di Biumo, and their daughter, Giuseppina Caccia Dominioni. The cordial and attentive Alessandro Rabottini, MiArt’s director, was present and chatting with everyone. The artists in attendance were timid. The bankers, however, were enthusiastic about the art—if sometimes a little perplexed. The galleries held their openings on Tuesday, April 10. Obviously, it was impossible to see all of them, so I visited the spaces that led to my final destination for the evening. Galleria Poggiali presented John Isaacs’s show “Archipelago—from a distance you look smaller but I know that you are there.” Isaacs was in attendance, smiling and looking very cool. 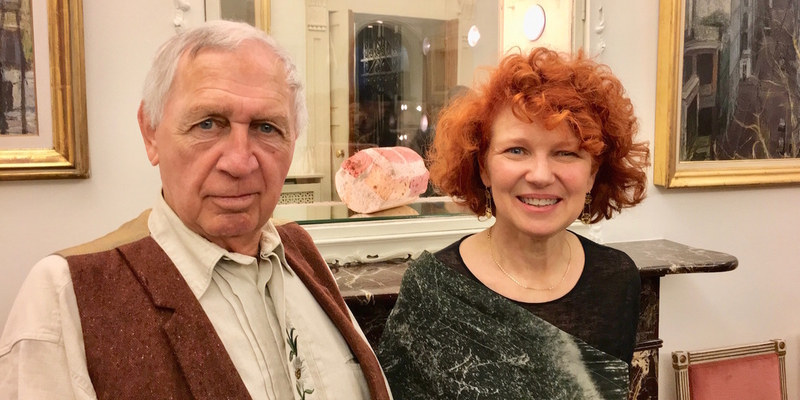 The gallery Viasaterna featured art by octogenarian Marion Baruch and thirtysomething Alessandro Teoldi. 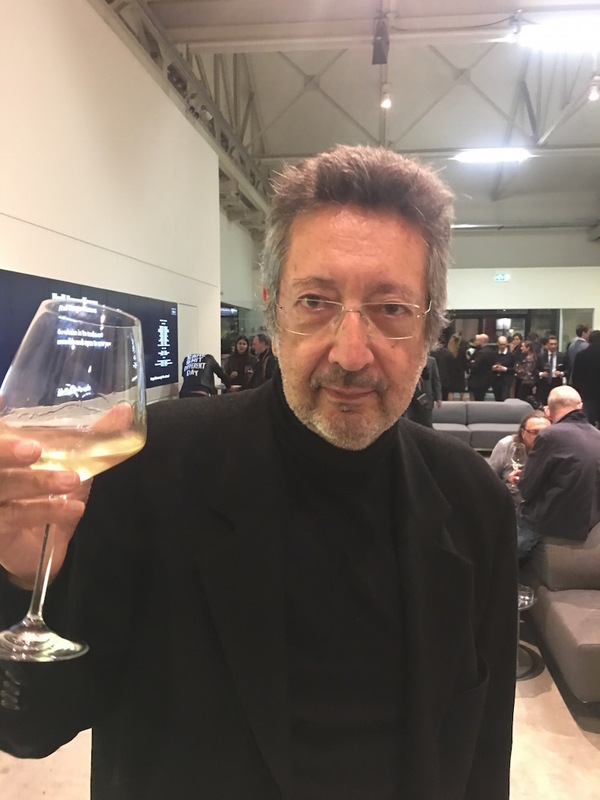 At the reception, the gallery served wines produced by Giorgio Rossi Cairo, the husband of the extremely hospitable dealer Irene Crocco. Kaufmann Repetto had a show up by activist and artist Andrea Bowers. 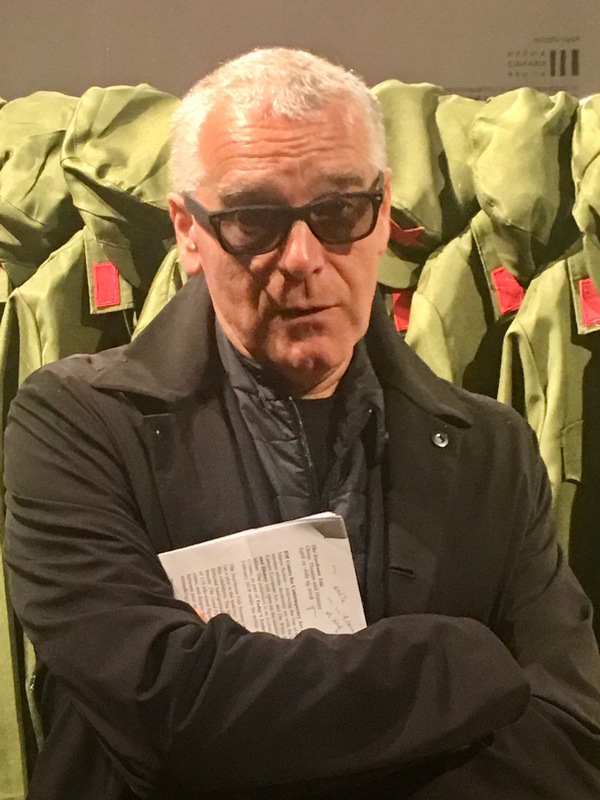 Lots of beer and young people came to Gio Marconi, which hosted Magnus Andersson’s colorful exhibition, “Danzanti Militanti” (Militant Dancers). Paola Clerico’s traveling project, Case Chiuse #06, Tamara Henderson attorno Carla Accardi (Closed Houses #06 Tamara Henderson Around Carla Accardi), 2018, was installed in a laboratory on the outskirts of the city. All of these spaces dotted the path that led to Pirelli HangarBicocca, a contemporary art museum housed in a former industrial plant. 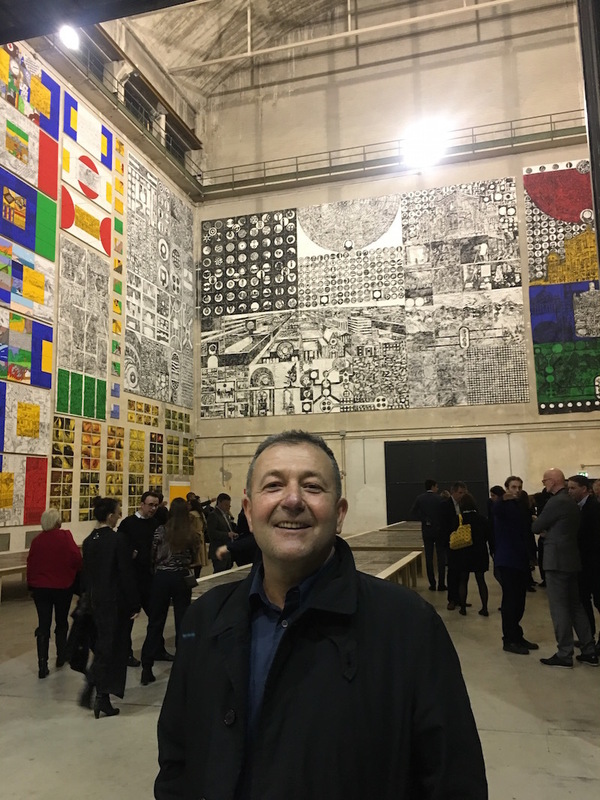 When people finally got there, they were left speechless by the sumptuous installation of “Matt Mullican: The Feeling of Things,” the artist’s first Italian retrospective and his largest exhibition of works to date, curated by Roberta Tenconi. About one hundred international guests and friends of the artist participated in the lively post-opening dinner. The crowd included the museum’s artistic director, Vicente Todolí; collectors Rudy Hodel and the Girardis (Claudio and Giuseppina); dealers Victor Gisler, Peter Freeman, Anthony Reynolds, and Amanda Wilkinson; curators and art historians Germano Celant and Achille Bonito Oliva; and the artists Julião Sarmento (who came in straight from Lisbon) and Maurizio Cattelan. 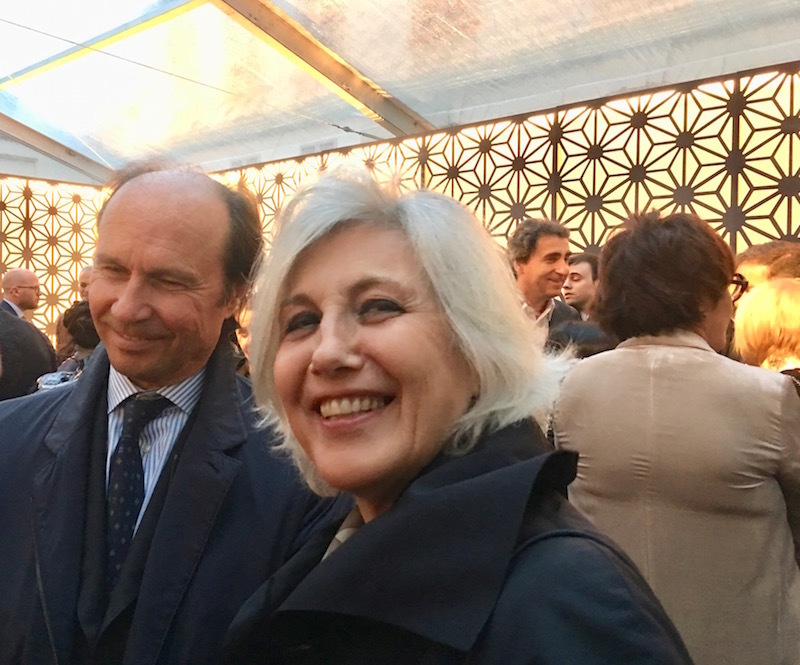 Sarah Cosulich, the Rome Quadriennale’s new director, and collector Marco Rossi also came to the dinner—he arrived from Turin. 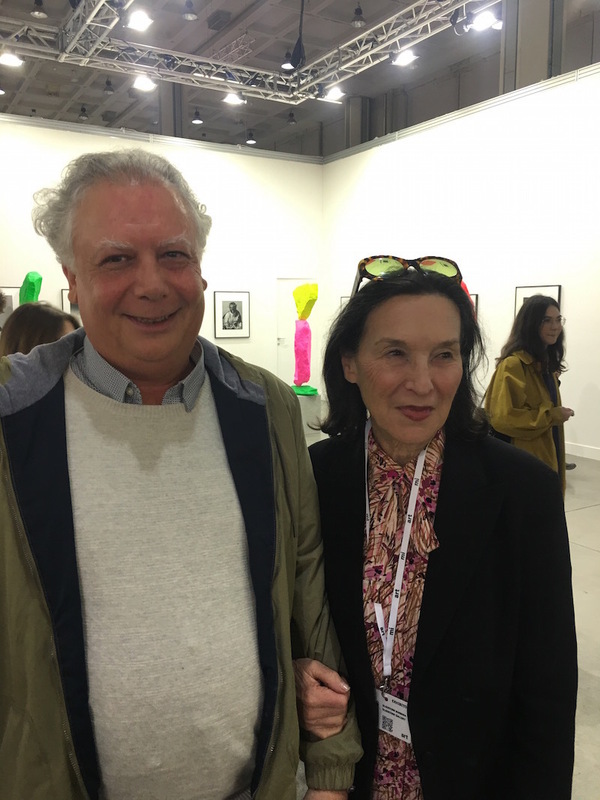 Art Basel’s global director Marc Spiegler and collector Patrizia Sandretto Re Rebaudengo were there as well. 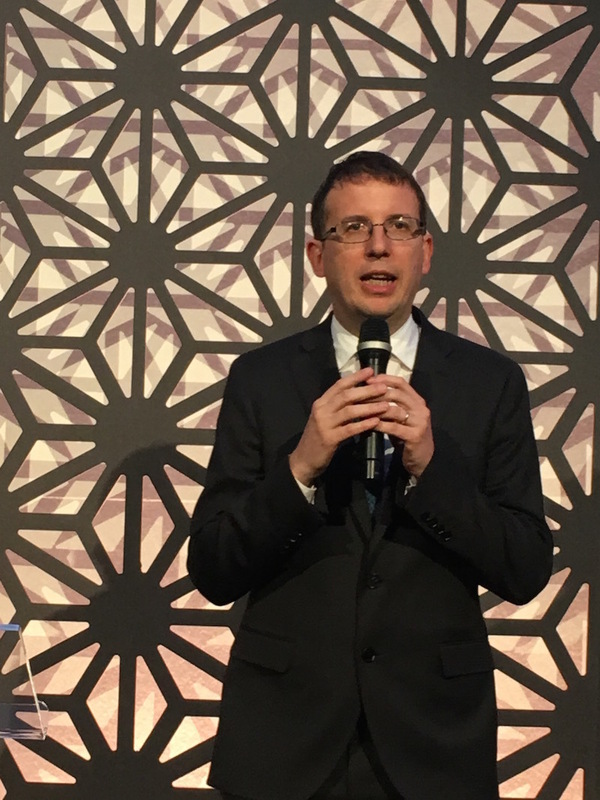 The next day, during a massive downpour, everyone gathered at the FM Centro per l’Arte Contemporanea for “The Szechwan Tale: China, Theatre, and History,” curated by Marco Scotini, who treated us to an in-depth tour of the show. Later, I raced off to the Triennale Teatro dell’Arte for the MiArt-commissioned Prisma (Prism), 2018, a performance by Alessandro Sciarroni and the art duo Nicolò Massazza and Iacopo Bedogni, better known as Masbedo. Giuseppina Caccia Dominioni Panza di Biumo and her mother, Rosa Giovanna Magnifico Panza di Biumo. 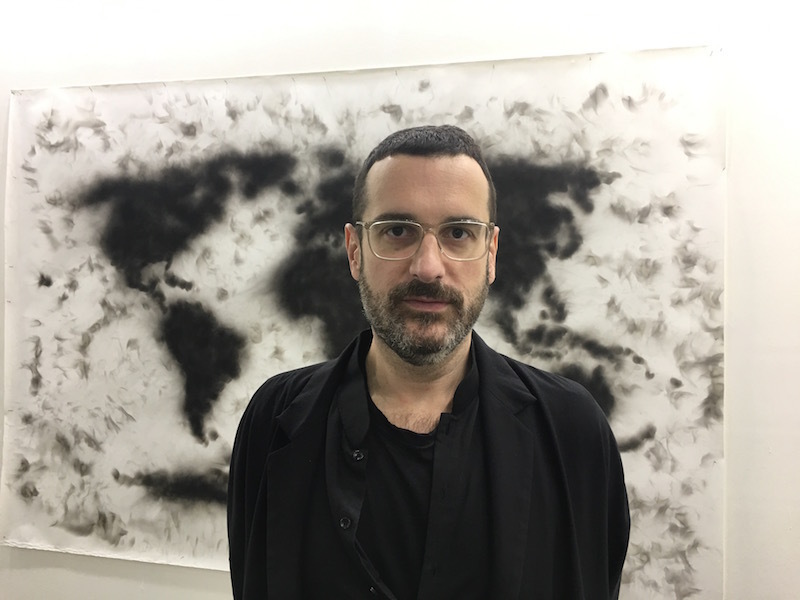 On Thursday, only moments after MiArt’s opening, everyone took stock of the fair and seemed to be in agreement that this year’s edition was a success. In the best tradition of Milanese collecting and connoisseurship, it offered a skillfully curated selection of modern and contemporary works. 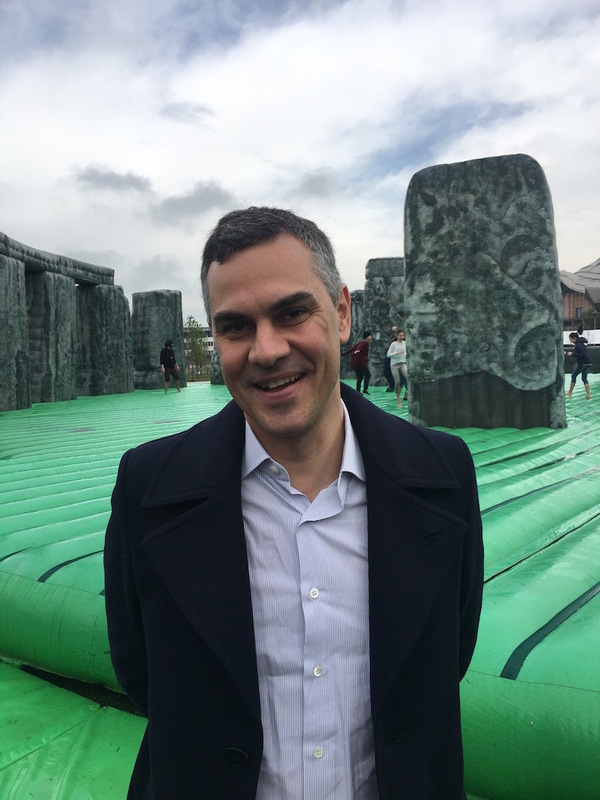 Just outside the fair, visitors watched happy children jumping on Jeremy Deller’s tongue-in-cheek Sacrilege, 2012, an inflatable 1:1 version of Stonehenge, curated by Massimiliano Gioni, the artistic director of the New Museum in New York and the Fondazione Nicola Trussardi. Deller was present, a bit worn out by the installation. Sacrilege, brought to the fair courtesy of the Fondazione Nicola Trussardi, was erected in the CityLife sculpture park, one of the most contemporary urban areas in Milan, which also carries important architectural interventions by Arata Isozaki, Zaha Hadid, and Daniel Libeskind. 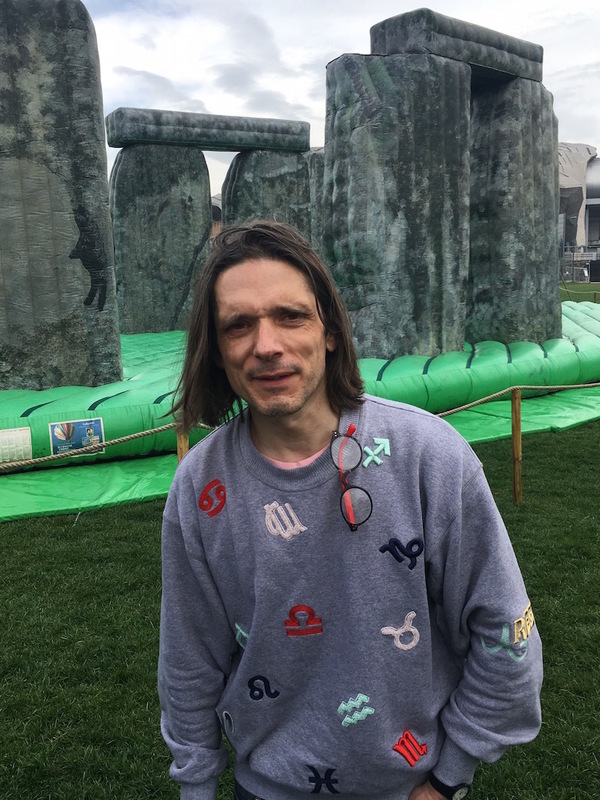 Artist Jeremy Deller in front of his inflatable sculpture, Sacrilege, 2012. I then went to Fondazione Trussardi’s dinner in honor of Deller, held at Libeskind’s spacious loft. The foundation’s president, Beatrice Trussardi, was there—a dazzling figure, always calm, always collected. 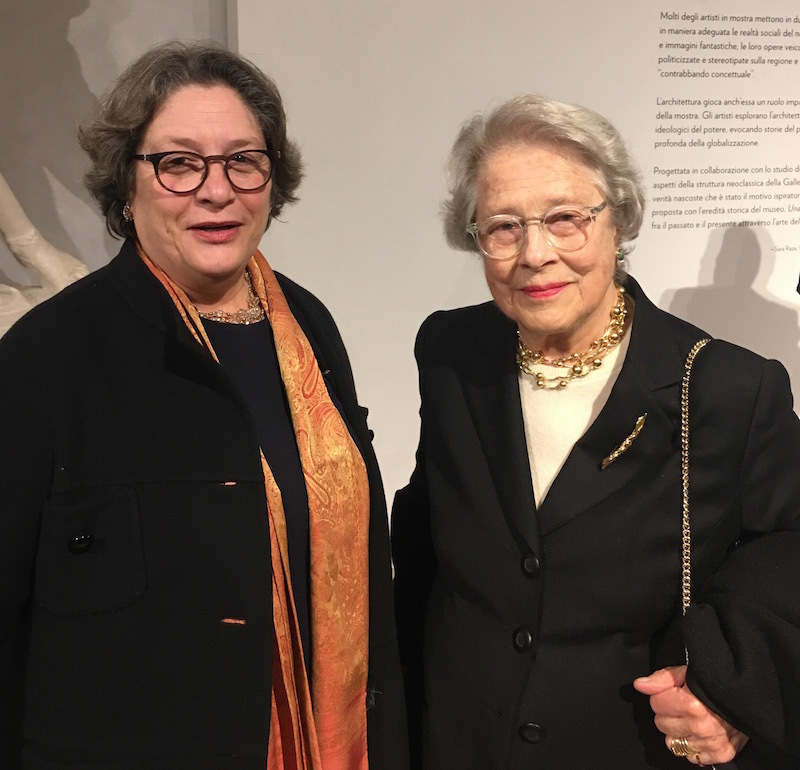 Afterward, I dropped by Gagosian’s dinner at the Six Gallery for Alberto Burri and Sterling Ruby, who were represented by Gagosian at the fair. At this late hour the rain came back, but it was mild, and it encouraged lively conversation. 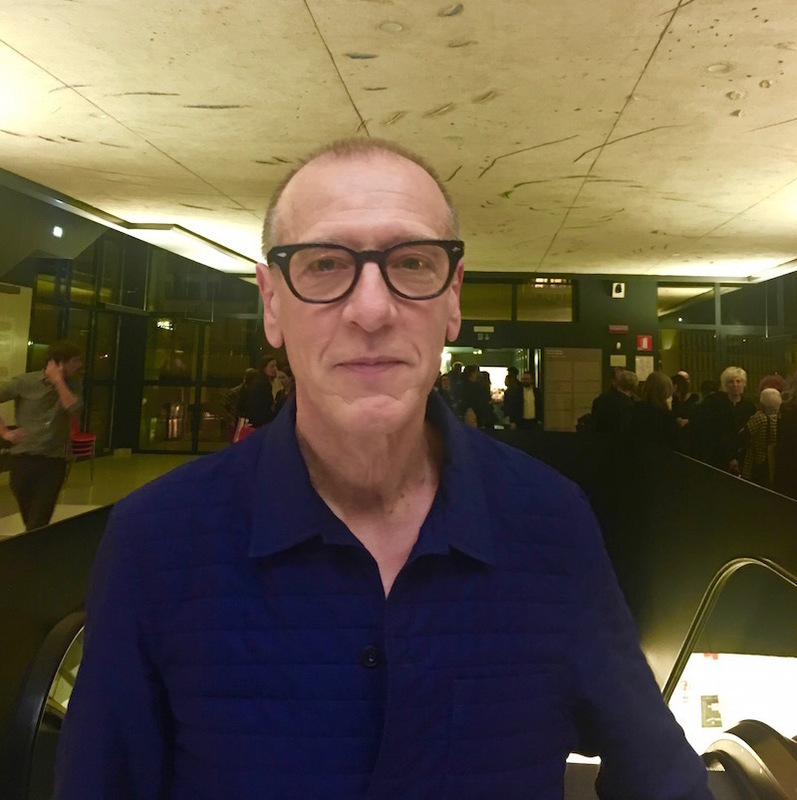 Rabottini made an appearance, as did Francesco Stocchi, the curator of “Sol LeWitt: Between the Lines” at the Fondazione Carriero. 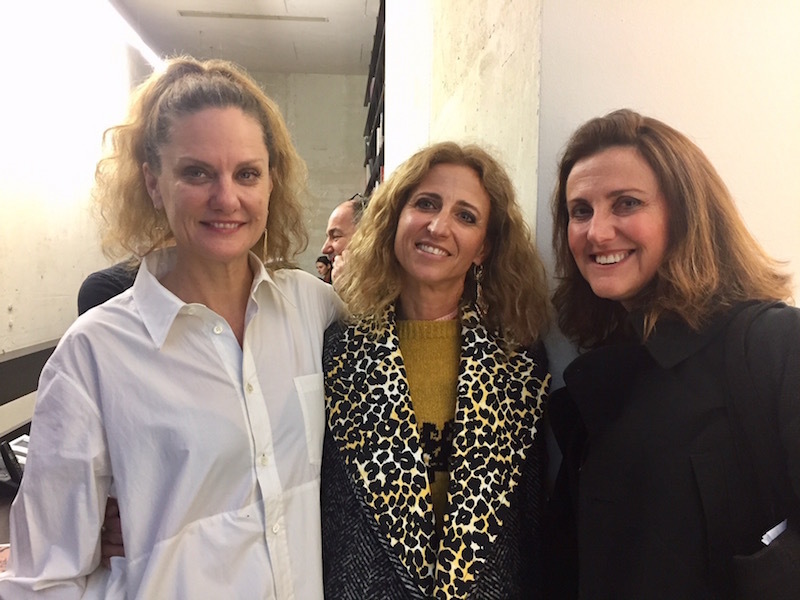 A trio of fabulous women who work on behalf of Gagosian—Pepi Marchetti Franchi, Serena Cattaneo, and Anna Gavazzi—were still in high spirits, despite it being a very long day. MiArt opened to the public on a gorgeously temperate Friday. 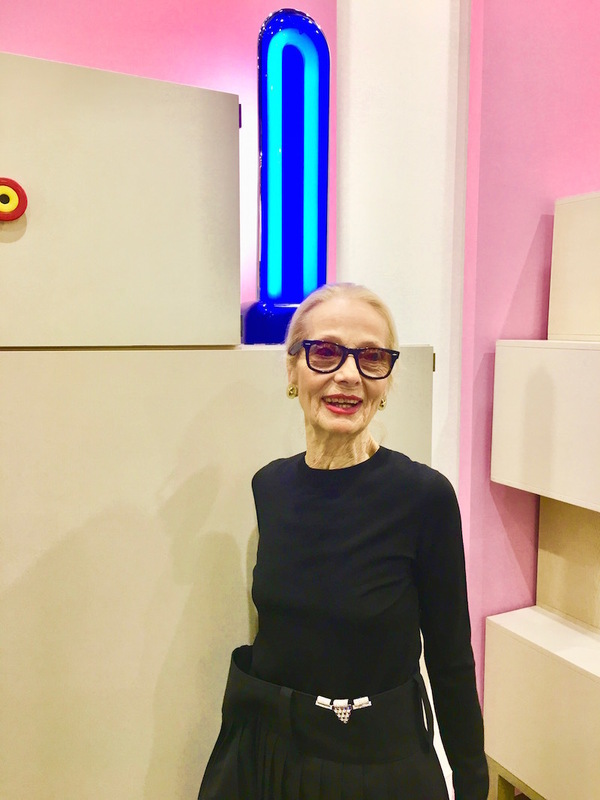 Early in the morning I headed out to a breakfast hosted by fashion maven Angela Missoni, who discovered the work of American artist Rachel Hayes on Instagram. 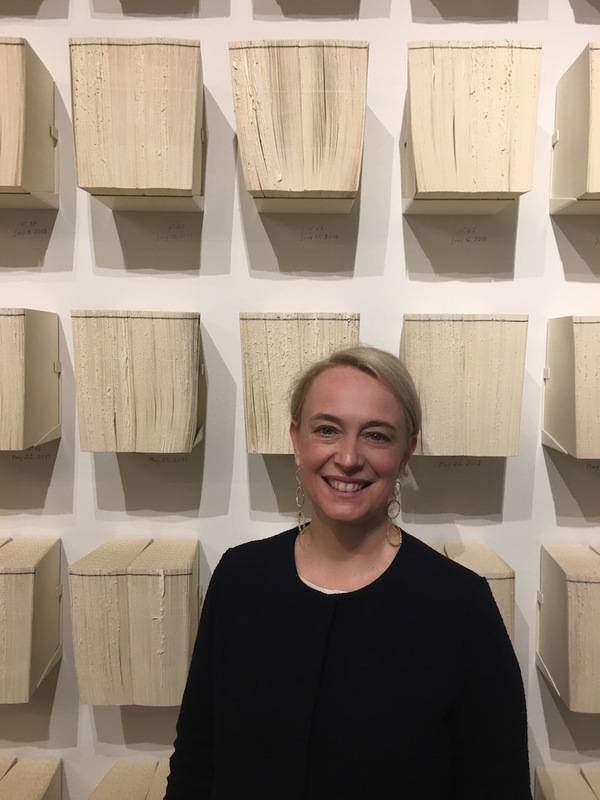 To the artist’s great astonishment, Angela asked her to collaborate with her company on a visual campaign, just in time for MiArt. The result was Blowing in the Wind, 2018, a site-specific installation for the Missoni showroom that was poetic, polychromatic, and hi-tech. As night approached, we received an invitation from the handbag manufacturer Furla—a company that’s been supporting contemporary art for decades—to visit the fifth event in their program “Furla Series #01 Time After Time, Space After Space,” curated by Bruna Roccasalva and Vincenzo de Bellis for the Museo del Novecento. 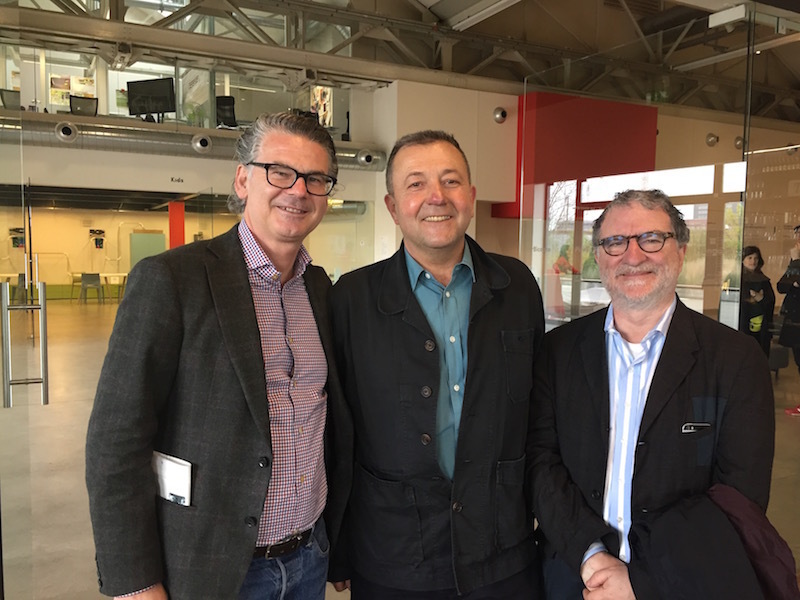 It was a pleasure to once again meet up with Roccasalva and de Bellis, who have been living in Minneapolis since Vincenzo was named the visual arts curator of the Walker Art Center, leaving the directorship of MiArt in Rabottini’s hands. 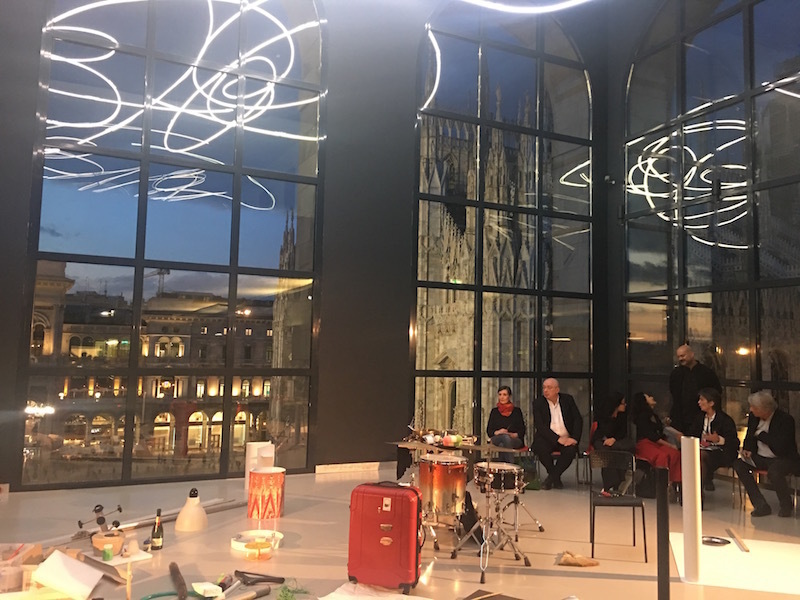 In the Fontana room on the Museo del Novecento’s top floor, Christian Marclay presented Concerto Spaziale (Space Concert), 2018, a performance with cellist Okkyung Lee and percussionist Luc Müller. The work used objects found around Milan—marbles, suitcases, coffeepots, pieces of polystyrene, iron poles, and lamps—to make music. 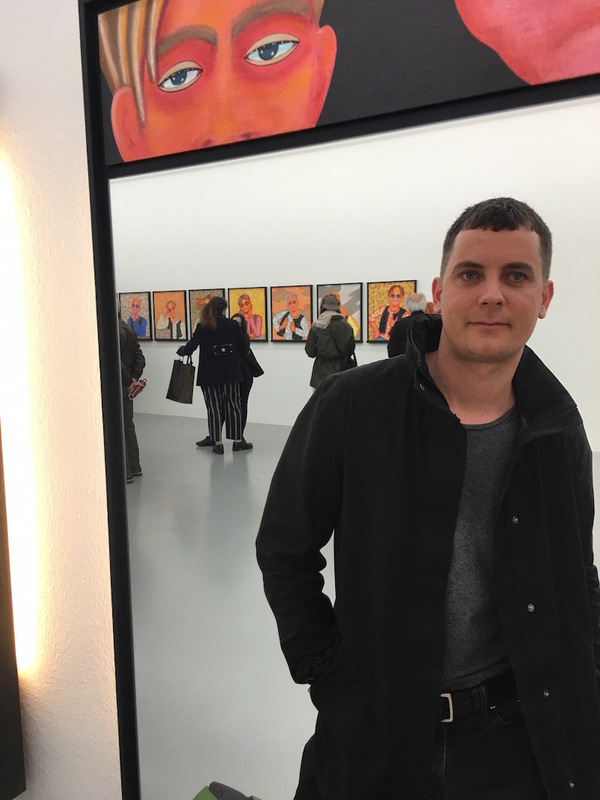 On Saturday I was able to catch my breath for a split second and connect with some friends who had not yet seen the Prada Foundation’s enormous show “Post Zang Tumb Tuuum. Art Life Politics: Italia 1918–1943,” curated by Germano Celant. 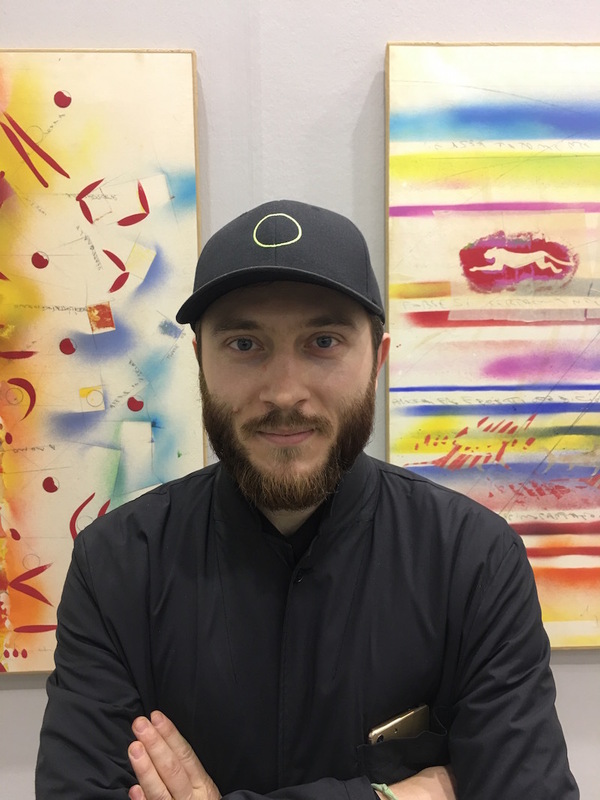 His inexhaustible mind is always raising the curatorial bar. 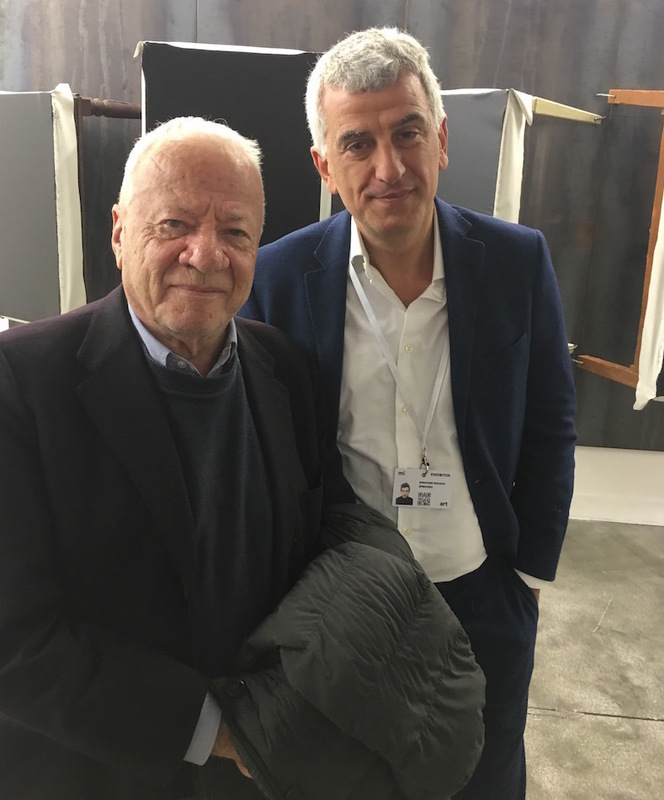 Sunday ostensibly marked the conclusion of the fair, but the intermingling of art and design—as only the Milanese do, and do well—continued. French art duo Anne and Patrick Poirier’s show, “Architectures des Mémoires” (Architectures of Memories), housed in architect Luca Cipelletti’s studio, was a voyage through remembrances of their Mesopotamian travels, as well as the inspiration for the Gardens of Memory, a cemetery in Gorgonzola that Cipelletti is in the process of building with the Poiriers. 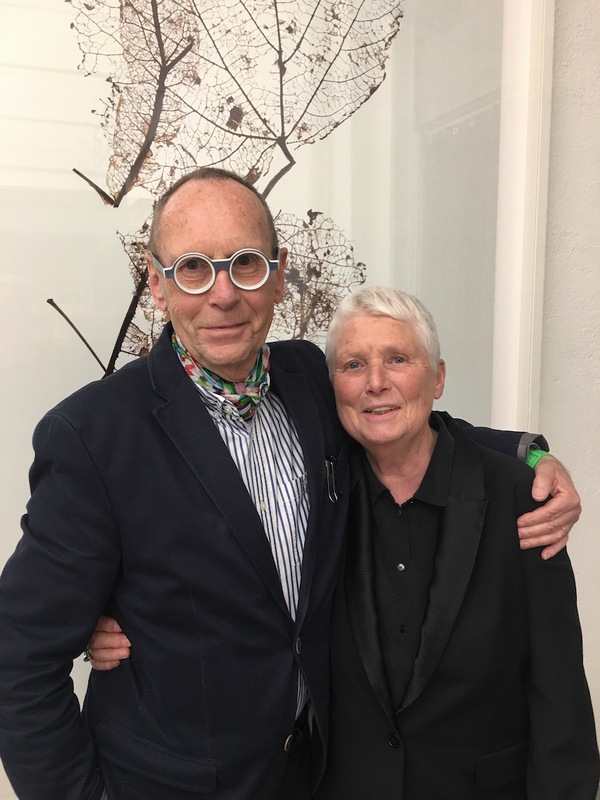 Conversation with this formidable couple is wide-ranging and intense: They confess that their relationship is animated by their capacity for both play and argument. It allows them to occupy a sense of normality. 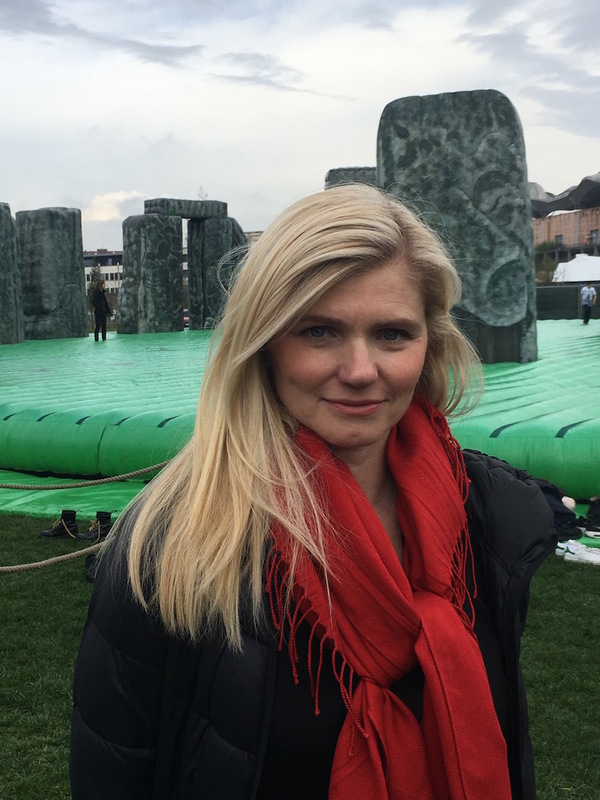 Beatrice Trussardi, president of Fondazione Trussardi, in front of Jeremy Deller’s Sacrilege, 2012. 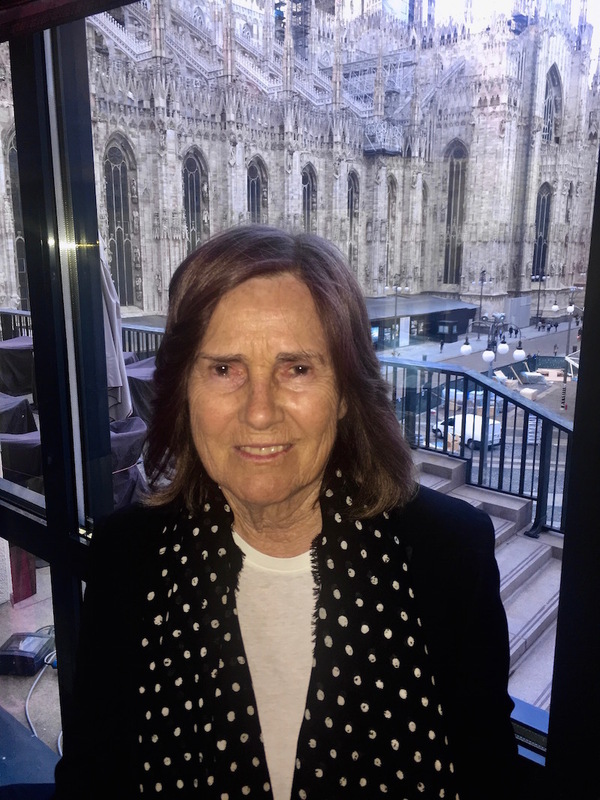 I spent the evening at Beatrice Trussardi’s home, once again a recipient of her gracious hospitality. In a building designed by Gio Ponti, I encountered Rabottini and other guests: collector Francesco Micheli; Andrea Buccellati, president and creative director of the jewelry company Buccellati; Emanuele Farneti, editor in chief of Italian Vogue; and Giulia Molteni, of the furniture company Molteni & C. The realm of design was well represented, especially with the arrival of Marcel Wanders and his friends. 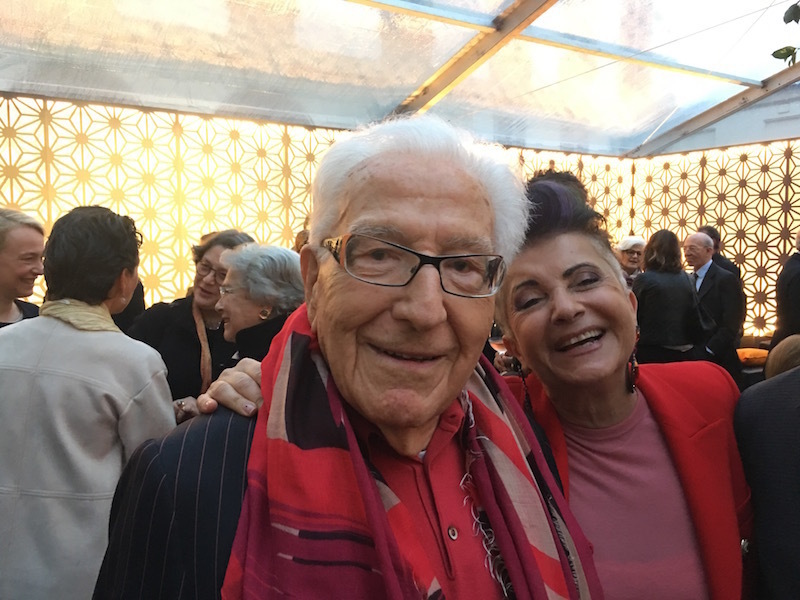 On April 16, the Palazzo Reale was aglow for a gala dinner to celebrate the Salone del Mobile––which was opening the next day––hosted by its president, Claudio Luti, and his wife, Maria. It was a great conclusion to a long week of art—on a rain-free and pretty Monday, no less—and the perfect start to Milan Design Week. 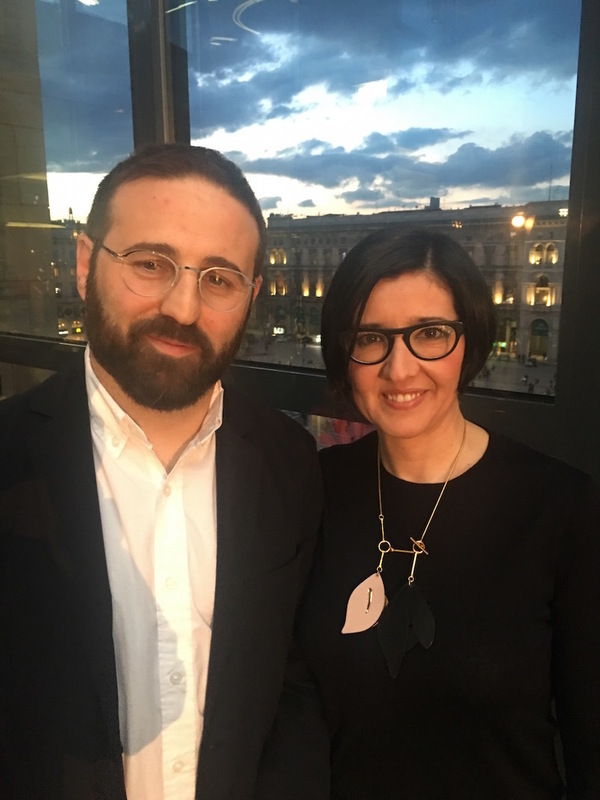 Marino and Paola Golinelli of Opificio Golinelli in Bologna. 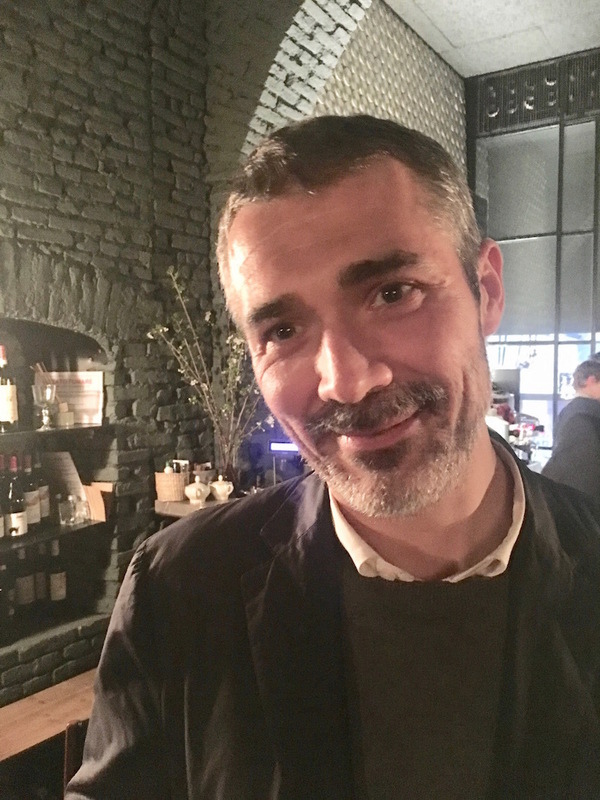 Milan’s councilor for culture, Filippo Del Corno. 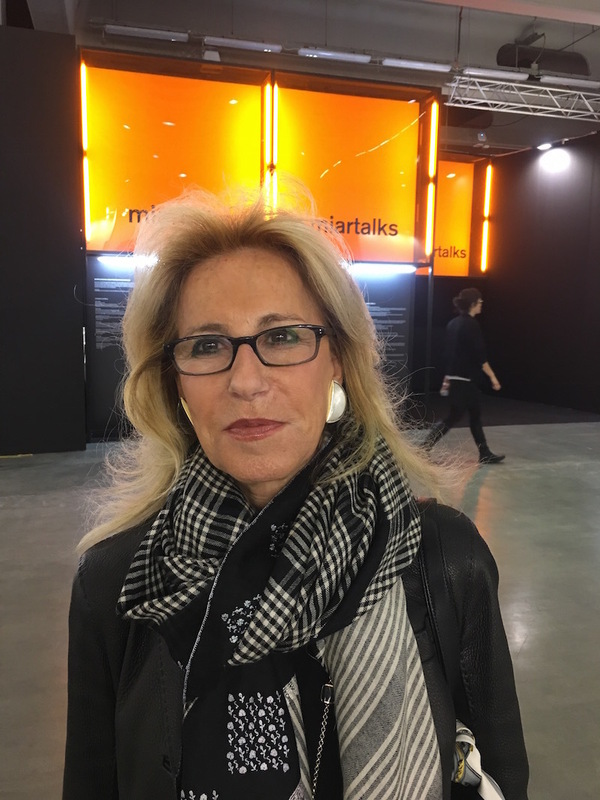 Paola Zatti of the Galleria d’Arte Moderna. 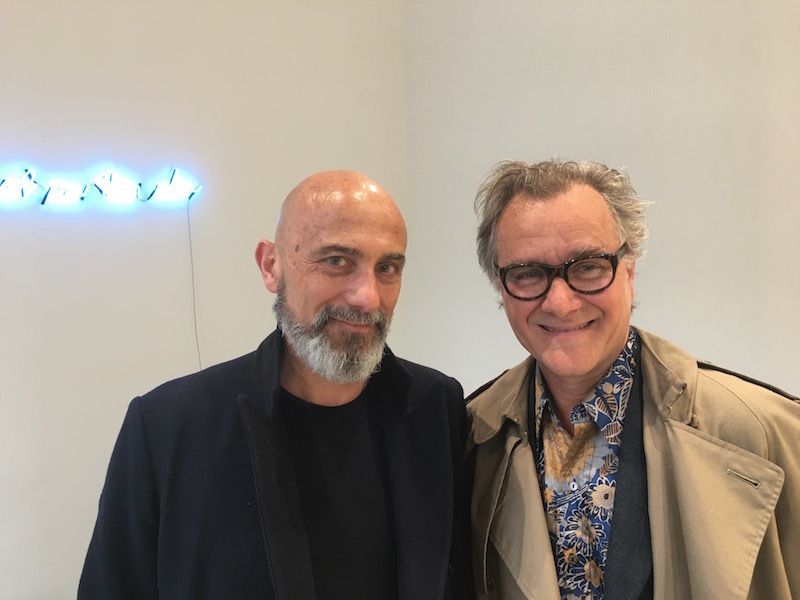 Sergio Risaliti, director of the Museo del Novecento Firenze, and artist Luca Pignatelli. 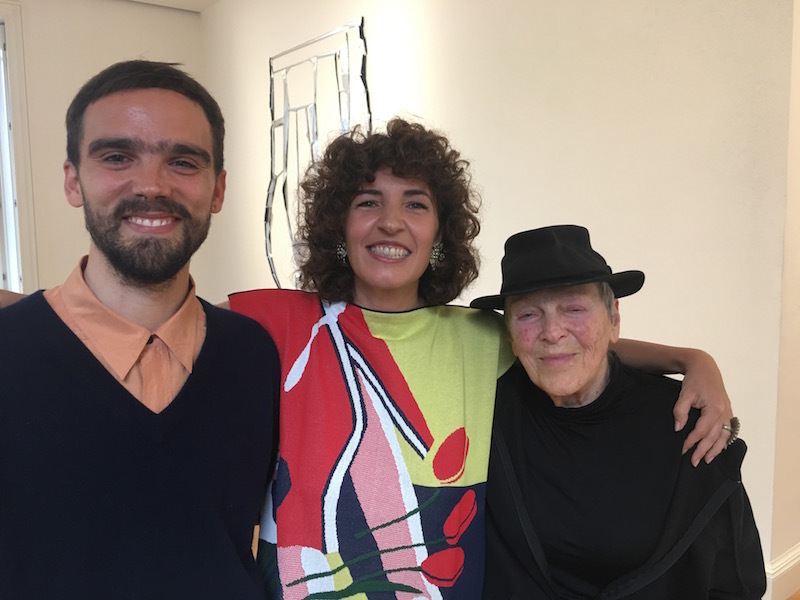 Alessandro Teoldi, Irene Crocco, and Marion Baruch. 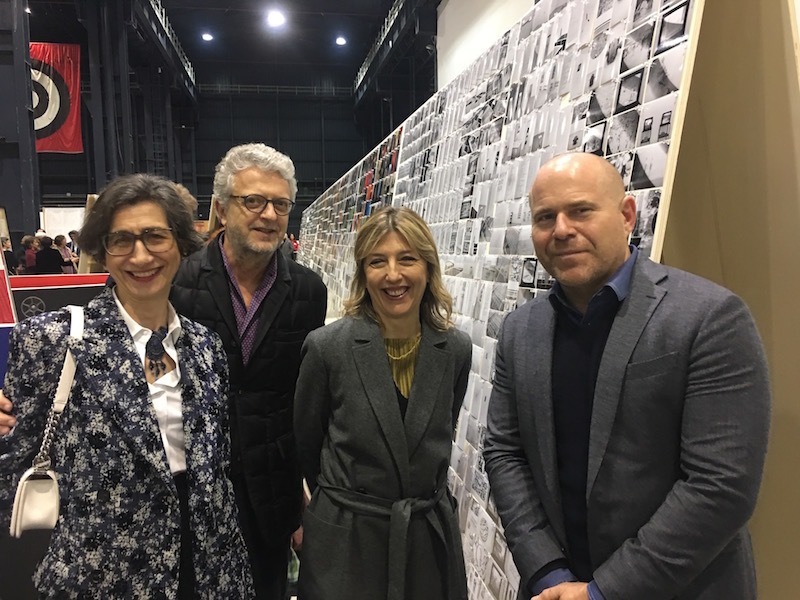 Collectors Giuseppina and Claudio Girardi, Damiana Leoni of Art Basel, and Art Basel global director Marc Spiegler. 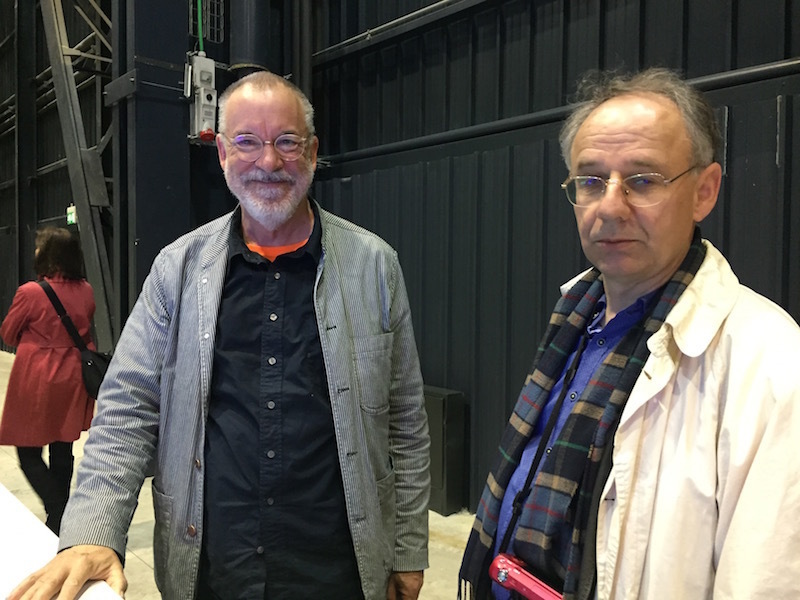 Dealer Victor Gisler, Pirelli HangarBicocca artistic director Vicente Todolí, and dealer Peter Freeman. Artist Matt Mullican and collector Rudy Hodel. 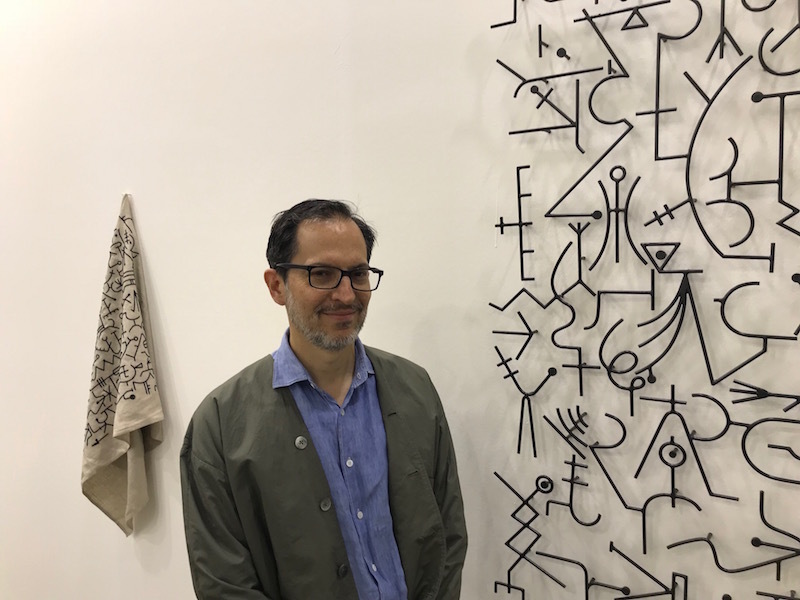 Massimiliano Gioni, artistic director of the New Museum in New York and the Fondazione Nicola Trussardi in Milan. 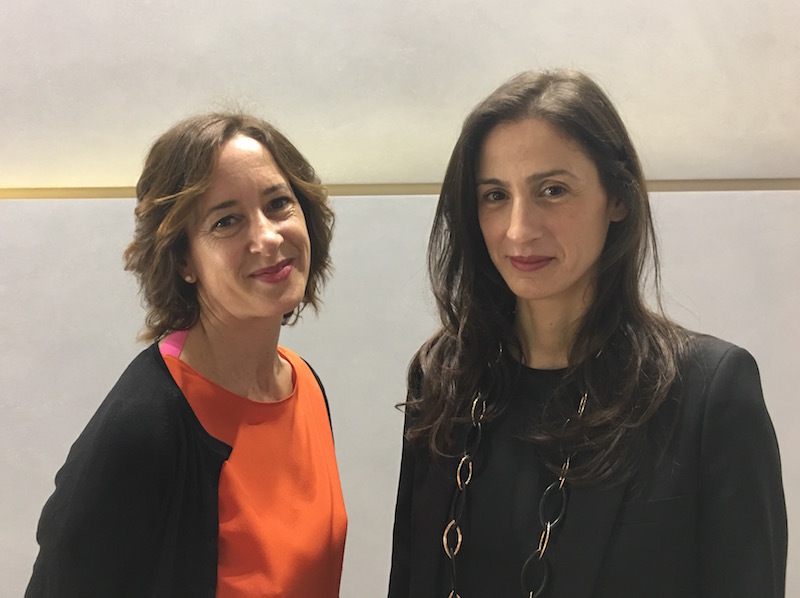 Ludovica Busiri Vici and Benedetta Spalletti of Vistamarestudio in Milan. Writer Achille Bonito Oliva and dealer Niccolò Sprovieri. 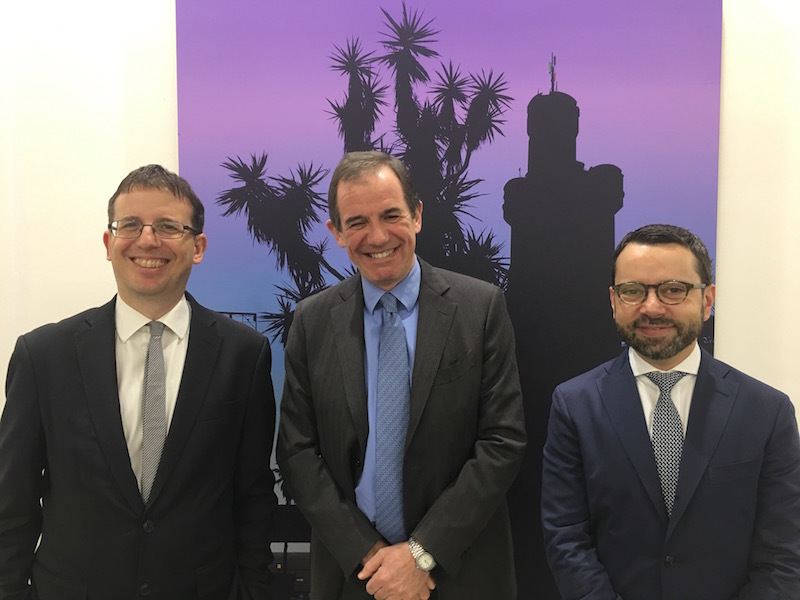 Milan’s councilor for culture, Filippo del Corno; Giovanni Gorno Tempini, president of the Fondazione Fiera Milano; and Alessandro Rabottini, artistic director of MiArt. 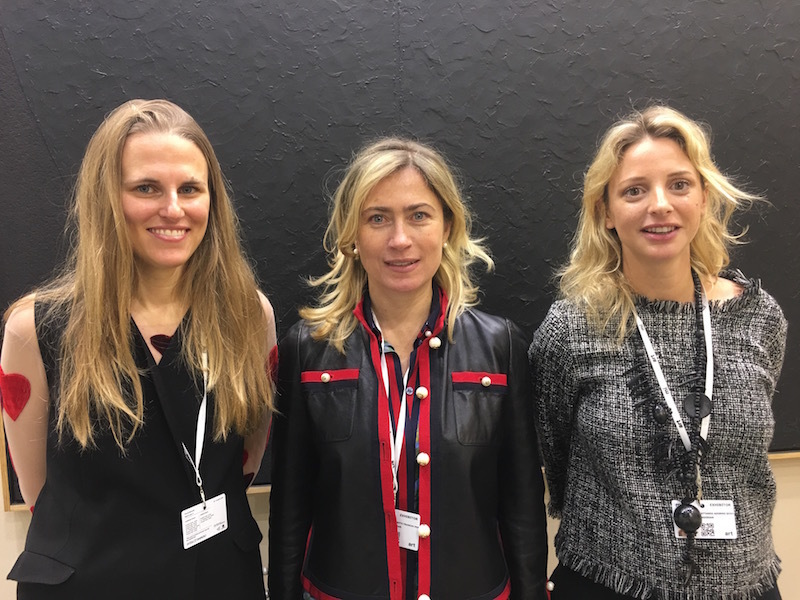 Gagosian’s Anna Gavazzi, Pepi Marchetti Franchi, and Serena Cattaneo Adorno. 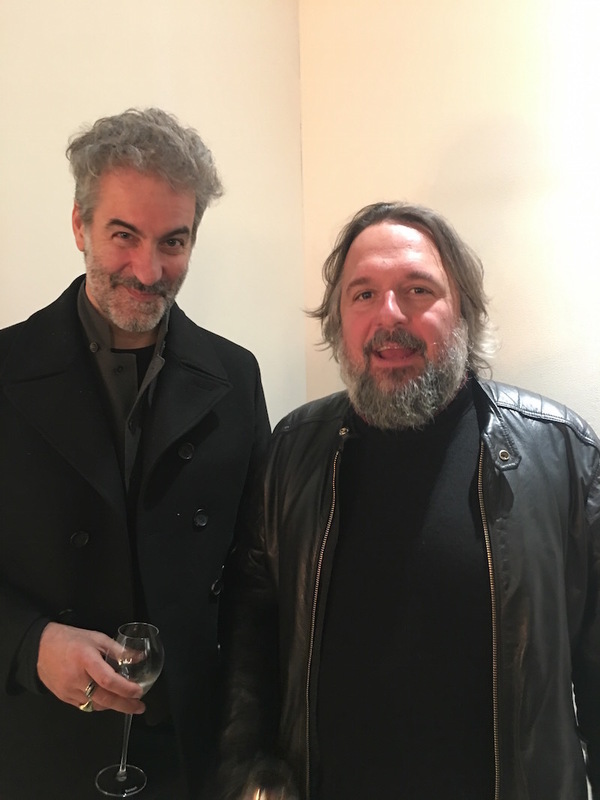 Artists Iacopo Bedogni and Nicolò Massazza, aka Masbedo. Dealers Alessandro Seno and Barbara Gladstone. 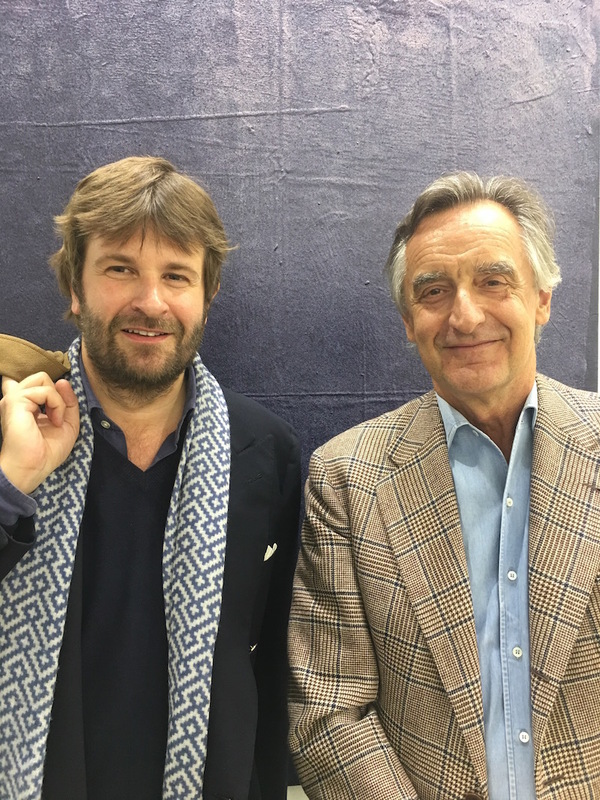 Art historian Leonardo Piccinini and dealer Carlo Orsi. Arturo Galansino, director of Fondazione Palazzo Strozzi. 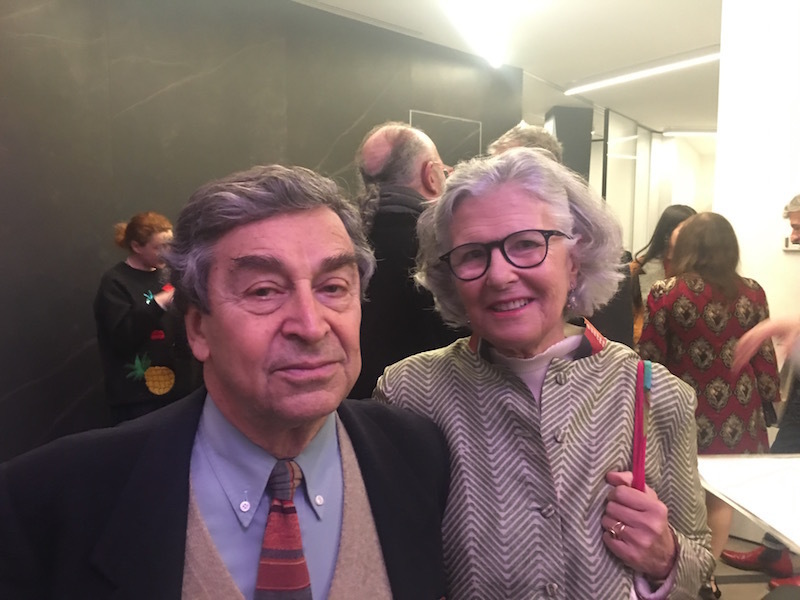 Architect Franco Raggi and arts patron Martina Fiocchi Rocca. 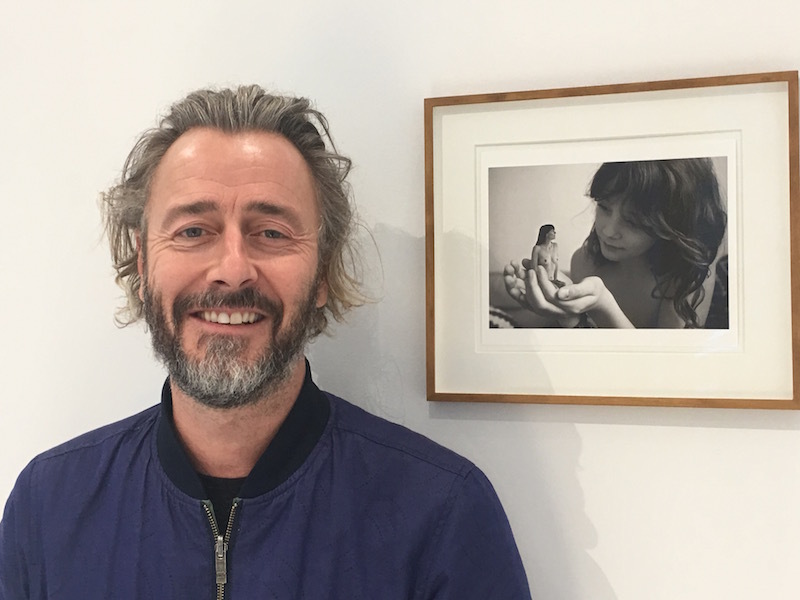 Francesco Stocchi, curator of modern and contemporary art at Museum Boijmans Van Beuningen in Rotterdam and the Fondazione Carriero in Milan. 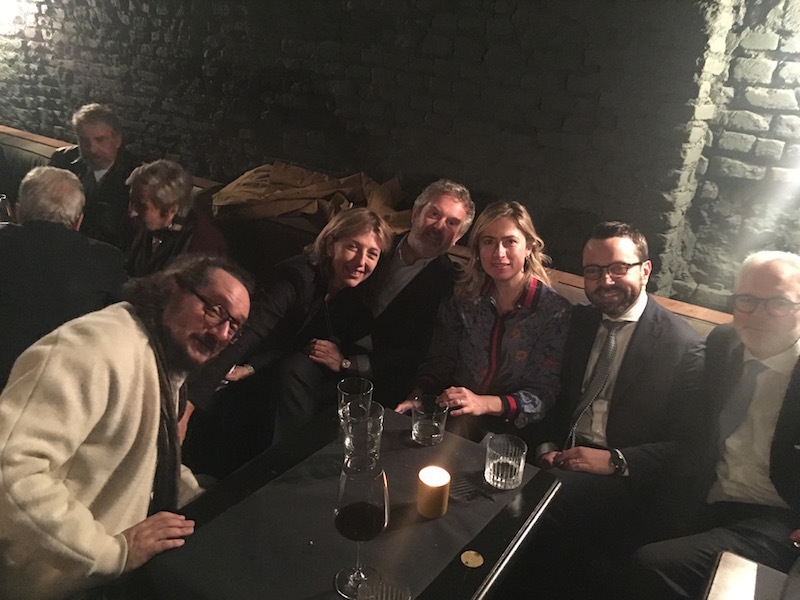 Andrea Viliani, director of Museo Madre Napoli; Damiana Leoni, Alberto Salvadori, Pepi Marchetti Franchi, and Alessandro Rabottini with his husband, David Sheldon. 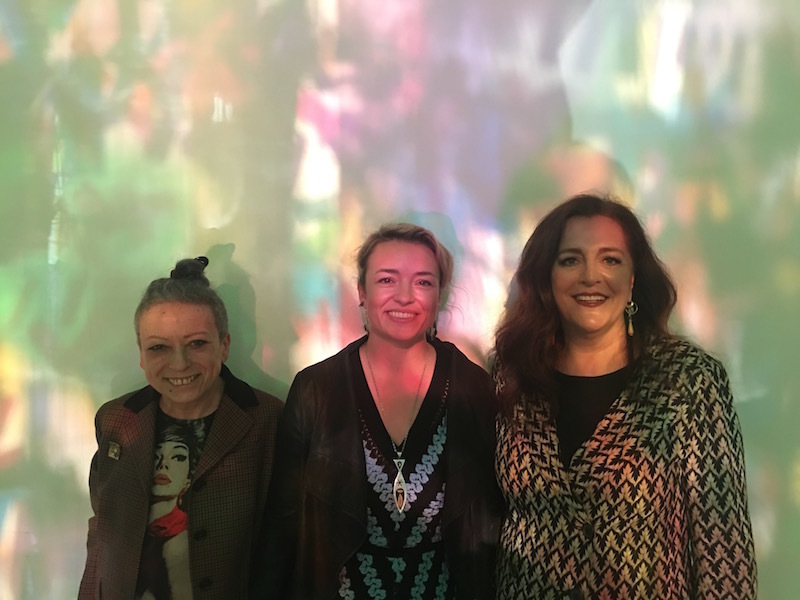 Mariuccia Casadio, artist Rachel Hayes, and creative director of Missoni, Angela Missoni. Artist Andrea Bowers, dealer Francesca Kaufmann, and curator Marcella Beccaria. Giovanna Furlanetto, president of Furla. 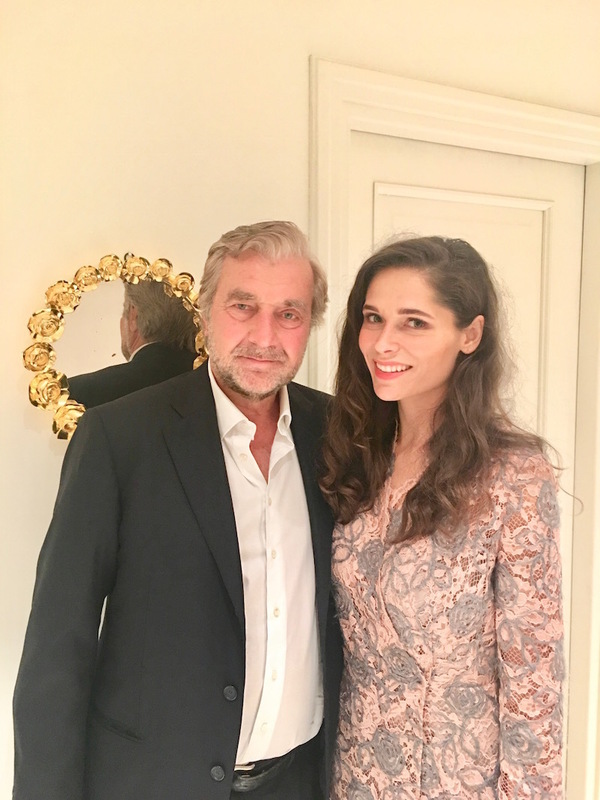 Curators Vincenzo De Bellis and Bruna Roccasalva. Set up for Christian Marclay’s performance at the Museo del Novecento. 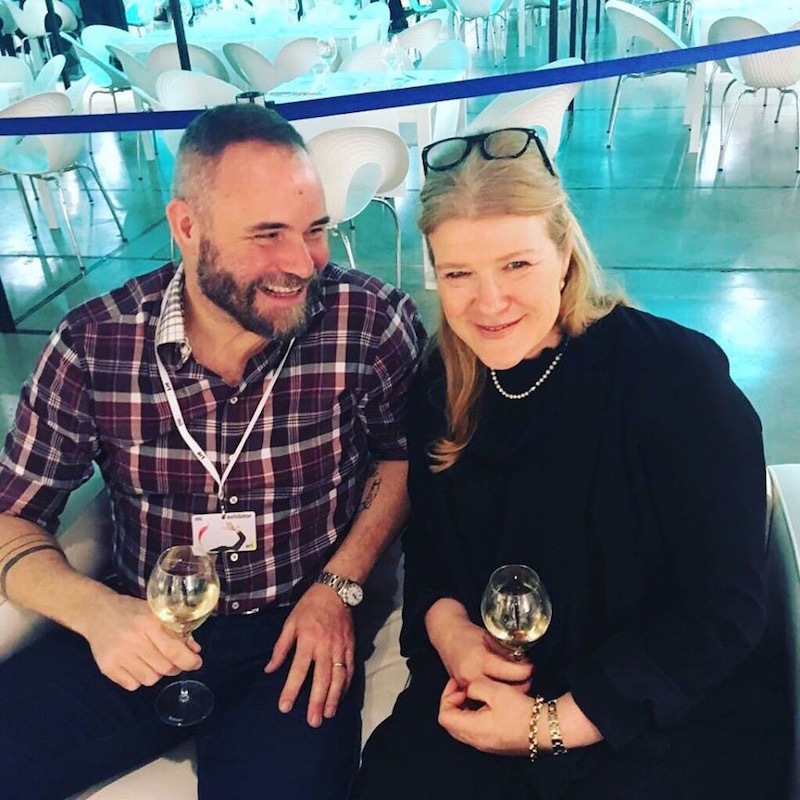 Dealer Francesco Pantaleone and Hedwig Fijen, founding director of Manifesta. Artists Patrick and Anne Poirier. 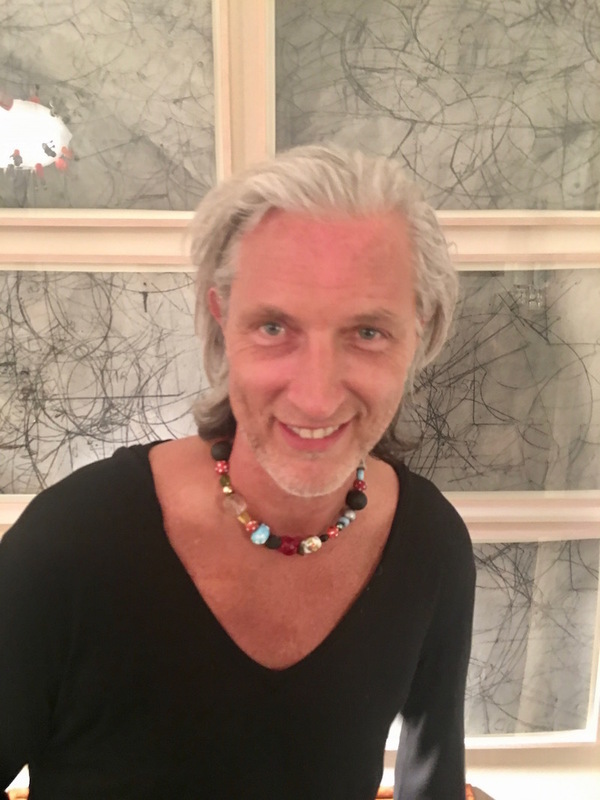 Emanuele Farneti, editor in chief of Italian Vogue. 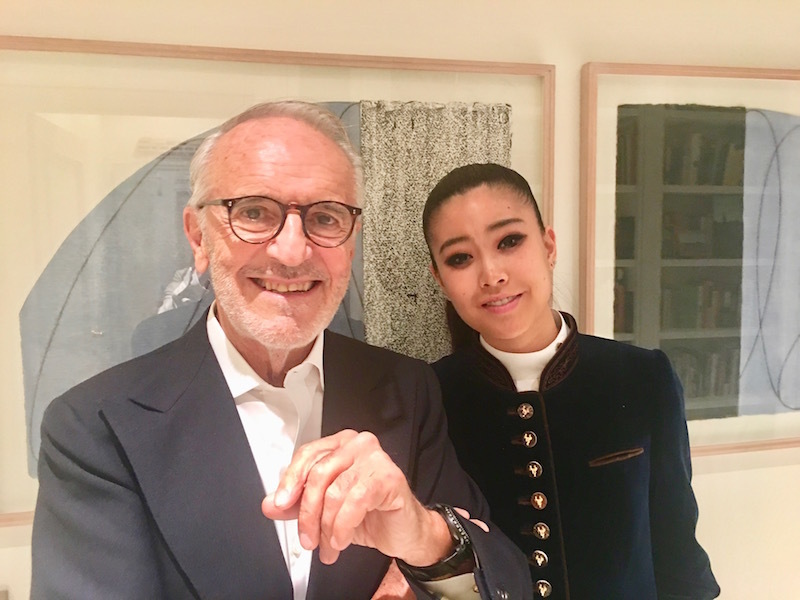 Francesco Micheli, cofounder and chairman of GENEXTRA S.p.A., with Gile Bae, classical pianist. 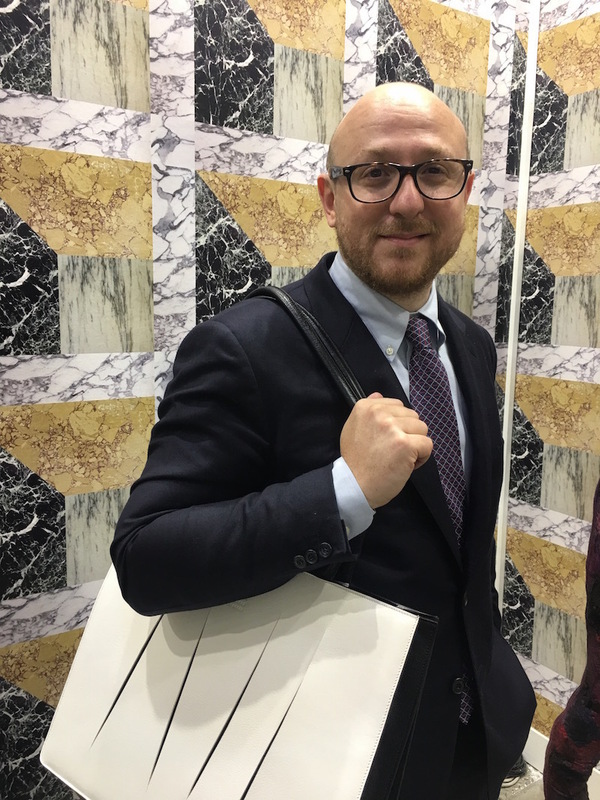 Andrea Buccellati, president and creative director of Buccellati, with a friend. 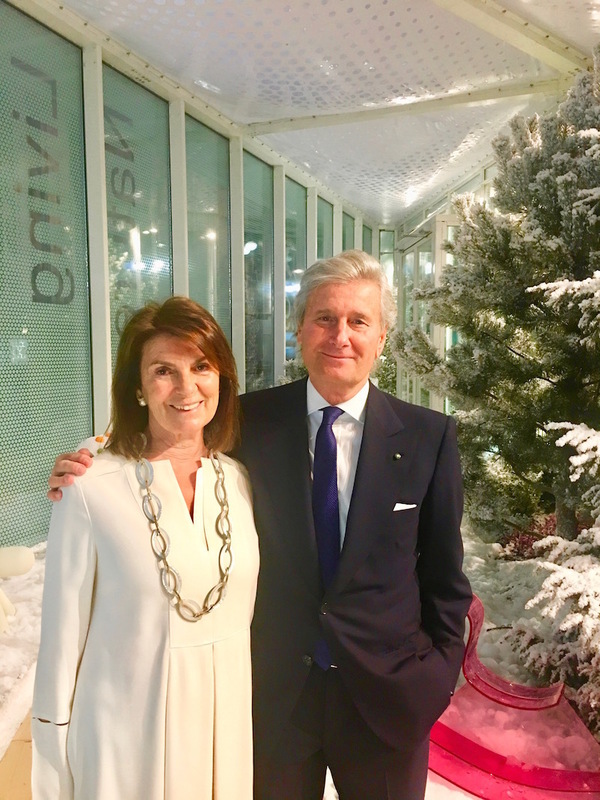 Claudio Luti, president of Salone del Mobile, with his wife Maria. 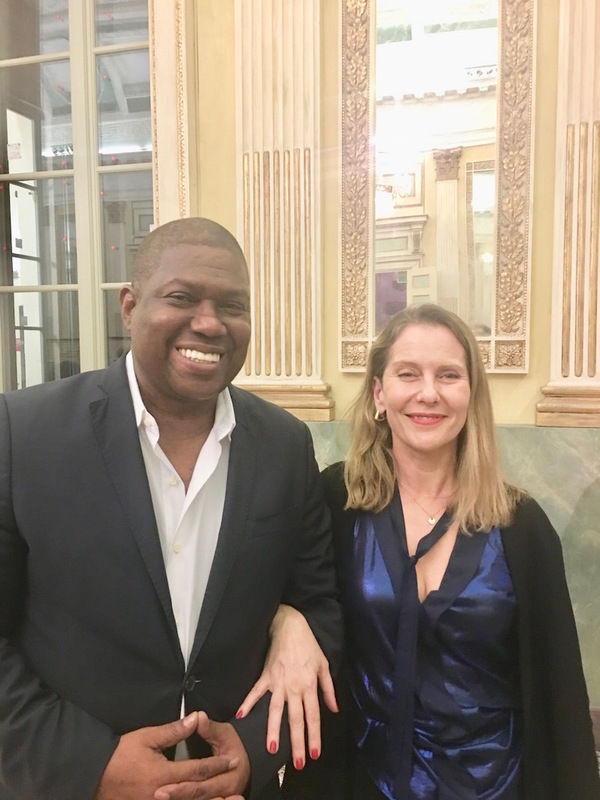 Senior curator in the Department of Architecture and Design and director of Research and Development at MoMA, Paola Antonelli, with her husband Laurence Carty. Writer and culture reporter Michela Moro, in deep red.